Enter the Email address below to receive an email with the authorization link needed to reset your password. The best way to reduce data entry in your business with the leader in data utilities Check out our options and features included. Reduces the time you spend doing data entry. Free up your employees and increase their productivity. Eliminate costly mistakes made when doing manual data entry. A simple, flexible and low cost way to get your business systems working together. Axis is designed to be easy to setup and use so you spend less time getting started. With more timely and accurate data entry - you benefit immediately from greater insights from your valuable business data. We provide you extensive technical documentation and online demonstrations, backed up by great telephone support. 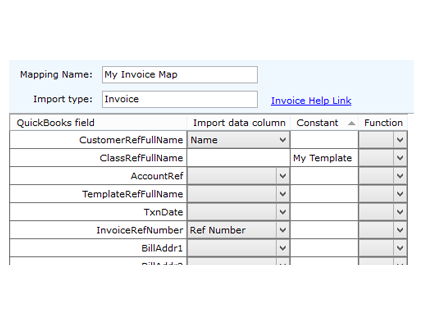 Axis takes the pain out of importing data into QuickBooks with a simple 3 step process - browse to the import file, select how you want that data to appear in QuickBooks and then process the import. 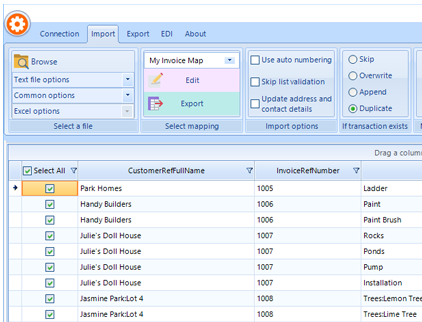 It's powerful advanced features make importing into QuickBooks even easier and smarter. You have all the necessary smart features to make your data entry headaches fade away. Thank you! I’ve been neglecting my transactions, but your software makes is so much easier to catch up! I bought a license, and am keen to explore other ways to use this tool. Zed Axis software has solved a QuickBooks problem that has been driving me nuts for years. After struggling with transaction importers/exporters for many years, Zed Axis has finally come along and lifted months of work off my shoulders in just a few hours. 14,000+ customers around the world use Zed Axis. Zed Axis is everything you need to eliminate data entry from your workplace ! Email: Raise a ticket with Sales Support to get an answer typically within 24 hours.